Rontis is an ISO Certified (DEKRA, Germany), full-service OEM Contract Manufacturer of minimally invasive interventional medical devices and medical disposables. We can take your product from concept through design and development, prototyping and testing all the way to production, packaging and sterilization of semi and / or fully finished products that meet the requirements under ISO and CE of Good Manufacturing Practices. 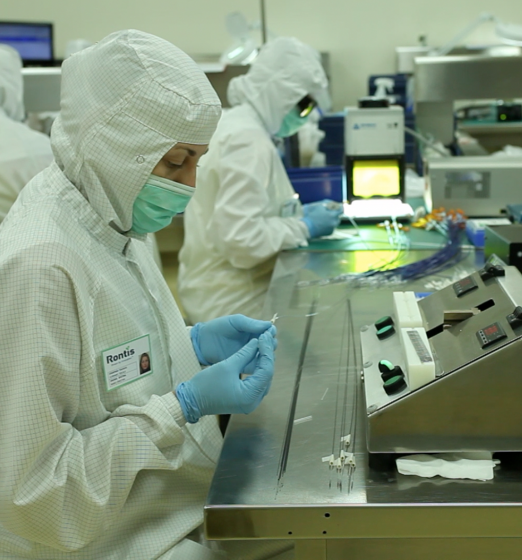 The combination of a complete manufacturing system combined with logistics ideally located in the heart of Europe makes Rontis an ideal launch platform for your medical devices.